In the three-hundred-fifty years since Europeans first received reports of a mysterious creature in Siberia called the mammoth, nothing has engendered more public fascination about them than the occasional discovery of nearly intact, frozen carcasses with flesh still attached. At some point in the nineteenth century, frozen mammoths became a staple of catastrophist theories. As one of the usual suspects of those theories, frozen mammoths have regularly been trotted out to prove that Atlantis was real, the Earth's axis can suddenly change location, a planet-sized comet caused the plagues of Egypt, or that Noah's global flood was real. Sometimes they prove all of the above despite the fact that the believers date them thousands of years apart. Three particular mammoths show up more often that all of the others combined. The Adams mammoth, named for the person who excavated it, was discovered in 1799 near the mouth of the Lena River. In 1806, Mikhail Adams journeyed to the spot and recovered most of the skeleton and several hundred pounds of skin and hair. This was the first nearly complete mammoth recovered and scientifically described. It was the basis for all nineteenth century ideas about what a mammoth looked like in life. I have given an entire chapter to this mammoth in my book. The Berezovka mammoth, named after the place where it was found in 1901, was also nearly complete. Since scientists were able to get to it soon after its discovery, they were able to examine muscles and remains of some of the internal organs. In between the Adams and the Berezovka was the Benkendorf mammoth. In 1846 a surveying party, led by a Lt. Benkendorf, discovered a complete mammoth exposed by a flood of the Indigirka river. Before the mammoth was carried away, the party was able to make some measurements and examine the contents of the mammoth's stomach. The main difference between these three famous mammoths is that the Adams and Berezovka mammoths are real, while the Benkendorf mammoth is a complete fiction. The fictitious nature of the story hasn't hurt its popularity. In In the Beginning: Compelling Evidence for Creation and the Flood Dr. Walt Brown cites the Benkendorf mammoth in to prove his version of the Noachian flood. John Cogan, in The New Order of Man's History, cites the same mammoth to prove his theory of Atlantis being sunk by a giant asteroid strike. Robert W. Felix cites the Benkendorf mammoth in Not by Fire but by Ice to prove his theory that magnetic pole reversals cause sudden and regular ice ages. In Darwin's Mistake: Antediluvian Discoveries Prove Dinosaurs and Humans Co-Existed, Hans J. Zillmer calls on the same mammoth to disprove both evolution and modern geology. It's easy to point and laugh at the creationists and catastrophists for being suckered into believing that a fictional mammoth would support their theories. Recycling anecdotes is a well-established tradition among conspiracy theorists and other purveyors of forbidden knowledge. Unfortunately, the Benkendorf mammoth has just as long a history of being cited in textbooks, popular science writing, and even academic papers. Samuel Sharp's 1876 textbook Rudiments of Geology uses the Benkendorf mammoth as a source of information about the appearance and diet of mammoths as do the authors of the 1902 edition of The Cambridge Natural History, H. H. Lamb's 1977 book Climate: Present, Past and Future, and a 1983 Time-Life book, Ice Ages. 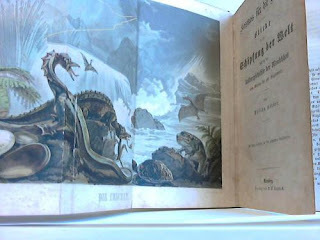 The story of Benkendorf's discovery originally appeared in a fairly obscure 1859 German book of science for young people, Kosmos für die Jugend by an author named Philipp Körber. Why has the Körber story managed to survive so long? More than anything else, I believe three elements have come together to turn Benkendorf's mammoth into a nearly unstoppable zombie. First, the original story was well told, filled with many plausible details, and included the solutions to some outstanding mysteries about mammoths. Second, because of the verisimilitude and answers, the story was adopted and retold in considerable detail by some very influential scientists. Their credibility led to many retellings in both the popular and scientific press. Finally, debunkings of the story have been weak, made by not credible writers, or located in hard to find places. Kosmos für die Jugend. Mammoths weren't the only prehistoric animals on Körber's book. In Körber's book, Benkendorf is an exemplary character, the son of a Baltic German schoolteacher, who dedicated himself to studying the mathematical arts. While serving in the Russian army, he came to the attention of his superiors who recommended him to the navy where, at the age of twenty-five, he was attached to a surveying expedition along the Siberian coast. Körber lets the young lieutenant tell the story in his own words, supposedly as a letter to a relative in Germany who passed it on to the author. After a credible description of permafrost, a still unnamed and mysterious phenomenon, he describes the setting. The year of his expedition, 1846, had an unusually warm and early spring. Unseasonable rains melted away the snow and cleared the rivers while tearing away river banks and flooding the land. When the rains stopped, they could see that the Indigirka River was free of ice. He was given charge of a steam launch and sent to explore the new channels carved by the floods. "There it was," he writes," we made a strange discovery." Suddenly our jager, ever on the outlook, called loudly, and pointed to a singular and unshapely object, which rose and sank through the disturbed waters. I had already remarked it, but not given it any attention, considering it only driftwood. Now we all hastened to the spot on the shore, had the boat drawn near, and waited until the mysterious thing should again show itself. Our patience was tried, but at last a black, horrible, giant-like mass was thrust out of the water, and we beheld a colossal elephant's head, armed with mighty tusks, with its long trunk moving in the water in an unearthly manner, as though seeking for something lost therein. Breathless with astonishment, I beheld the monster hardly twelve feet from me, with his half-open eyes yet showing the whites. It was still in good preservation. Körber's illustration of the Benkendorf mammoth. I haven't seen this illustration published anywhere except for Körber's book. 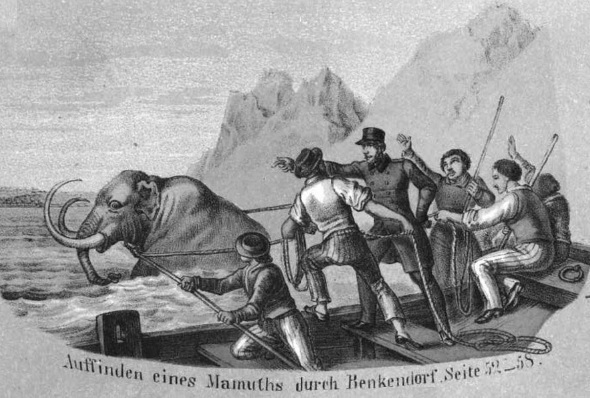 Benkendorf's crew secure the mammoth with ropes and chains and try to pull it to the shore, but its rear feet are frozen to the river bottom and they can't budge it. Refusing to give up, Benkendorf has them tie the ropes to stakes driven into the riverbank and waits for the river to excavate the mammoth for him. The next day, the Yakuti horsemen arrive and Benkendorf puts them to work reeling in his catch. So intent are they in examining the mammoth that no one notices the river slowly undermining the riverbank. Suddenly, the mammoth is snatched from Benkendof's hands as the bank collapses taking the mammoth and five of the horsemen with it. Sailors from the ship manage to rescue the horsemen, but the mammoth is irretrievably lost. Besides being a ripping good yarn, Körber's story had a lot going for it. At the time, only one fairly intact mammoth had been recovered and described in scientific literature. This was the Adams mammoth. Adams was able to recover an almost complete skeleton, a large part of the skin, and several bags of hair. However, most of the soft tissue had been eaten by scavengers, the tusks had been cut off and sold, and the hair had shed from the skin. This left the angle of the tusks and the distribution of the hair open to speculation. With no internal organs present, Adams could provide no information about what the mammoth ate. This was an area of great interest since knowing its diet would be a major clue about the past climate of the Arctic coast. Adams' account of recovering the mammoth was published and republished in several languages over a decade. Wilhelm Gottlieb Tilesius reassembled the skeleton and published a detailed description of it along with large illustrations. Adams' and Tilesius' papers were the basis for all mammoth studies in the nineteenth century. Körber's description of Benkendorf's mammoth stuck closely to their descriptions, even where they made incorrect guesses. Körber describes the tusks as "eight feet long, thick, and curving outward at their ends." This follows Tilesius' attempt at reconstructing the placement of the tusks on the Adams' mammoth. The original tusks had been cut off and sold before Adams reached the mammoth (in fact, it was the ivory merchant who reported the find). Adams bought a pair of tusks on his way back from the coast which the merchant claimed were the originals from his skeleton. These tusks were, in fact, from a younger, smaller mammoth. Tilesius could only guess at their placement and put them on the wrong sides of the skull with the points curving out and back over the mammoth's shoulders. In part, because of Tilesius' incorrect guess and Körber's confirmation of it, the correct placement of the tusks would still be a topic of debate into the first decade of the twentieth century. Tilesius' incorrect tusk placement confirmed by Körber. The idea that the hair on the mammoth should be in the form of a mane, rather than equally distributed about the body, comes from Adams. Adams described the mammoth, when he first viewed it, as having "a long mane on the neck." By the time Adams reached St. Petersburg, all of the hair had fallen off of the skin. Since Adams says most of the hair had fallen off by the time he reached the mammoth, it might be that the only hair he saw still attached was around the neck and shoulders. In any case, this was another incorrect assumption that gained support from Körber's tale. Körber provided two other details about the mammoth's appearance that were pure speculation and that turned out to be incorrect. The "tail naked up to the end, which was covered with thick tufty hair" is a nice detail that goes along with the lion-like mane. On Adams' mammoth, the tail had been carried off by scavengers; its appearance was anybody's guess. The "parchment-like, large, naked ears" are a convincing detail that make his mammoth more elephant-like, specifically like an African elephant, but badly suited to the Arctic. When Adams began excavating his mammoth, most of the flesh and the skin of the head had been eaten by scavengers. However, one side of the head was still buried and had preserved its skin and ear. Adams mentioned only that ear was "furnished with a tuft of fur." By the time the skin reached St. Petersburg, the ear had dried out and was too damaged for Tilesius to draw any conclusions about its original appearance. While all of these external details were corrected by the early years of the twentieth century, Körber's imaginative description of the contents of the mammoth's stomach is a important bit of misinformation that persisted almost to this day. We can be fairly certain that Körber didn't set out to fool the scientific community. His book was intended for young people with an interest in science. Unfortunately, this one detail, taken as a scientific observation, had consequences in several fields. At the time, discovering what the mammoth ate was considered the most important evidence as to the environment in which it lived. Naturalists were divided between those who thought elephants in the Arctic meant Siberia had had a warm climate in the recent past, and those who thought mammoths were adapted to the cold, meaning Siberia's cold climate had never changed. The answer to that question had great implications for understanding the nature of the mammoth, the nature of the ice ages (still a new idea), and whether or not geological and climatological conditions changed gradually or catastrophically. I have been so fortunate as to extract from cavities in the molar teeth of the Wiljui rhinoceros a small quantity of its half-chewed food, among which fragments of pine leaves, one-half of the seed of a polygonaceous plant, and very minute portions of wood with porous cells (or small fragments of coniferous wood), were still recognizable. It is very likely that Körber was aware of Brandt's work. Brandt's first observations were published as a letter in the journal of the Royal Prussian Academy in 1846 in German, Körber's native language. His complete paper was published in the journal of the Russian academy. It was also reported in one of the most influential geology books of the century, Sir Charles Lyell's Principles of Geology, from the 1853 edition forward. It is now no longer a question, whether the [mastodon] was a herbivorous or carnivorous animal. Human industry has revealed a secret, which the bosom of the earth had, in vain, attempted to conceal. In digging a well, near a Salt-Lick, in Wythe-county, Virginia, after penetrating about five feet and a half from the surface, the labourers struck upon the stomach of a mammoth. The contents were in a state of perfect preservation, consisting of half masticated reeds, twigs, and grass, or leaves. There could be no deception; the substances were designated by obvious characters, which could not be mistaken, and of which every one could judge; besides, the bones of the animal lay around, and added a silent, but sure, confirmation. Barton was an influential scientist in his own right and the publisher of the Philadelphia Medical and Physical Journal. Barton not only published Bishop Madison's letter, he forwarded it to Baron Georges Cuvier who quoted it in his Recherches sur les ossemens fossiles de quadrupèdes. Like Lyell's Geology, Recherches was an enormously influential book that went through numerous editions. Even before the first edition of Recherches was published, American readers knew that the story was wrong. In 1809, Madison wrote to several of the American journals that had published his letter to say that his sources had exaggerated. It was true that the vegetable matter was found inside the skeleton of the mastodon, but it was no different from the vegetable matter in the soil surrounding the skeleton. Unfortunately, no one thought to tell Cuvier and the misinformation was repeated in every edition of Recherches. The story of the Benkendorf mammoth made it into academic and popular science literature in the early 1860s, just a few years after the publication of Körber's book. By the end of the century, some of the details were so well established that they had could stand up against newer, and more correct, data. A mammoth well enough preserved that it still had its stomach matter intact wasn't discovered until 1901 when the Berezovka mammoth was found. Otto Herz recovered thirty-five pounds of plant matter from the mammoth's stomach and mouth, which turned out to be meadow grasses and not conifers. This is an important distinction. Although elephants can eat almost any plant matter, their teeth and guts are specialized as grazers—eaters of grasses and ground plants--not browsers--eaters of branches and leaves—like mastodons and woolly rhinos. This is a huge distinction in defining what mammoths were and what their environment was. Because the Benkendorf story had so much prestige by the beginning of the twentieth century, it was almost unchallengeable. When the final analysis of the gut material recovered by Herz was published in 1914, the author of the study, V. N. Sukachev, even before describing the grasses and flowering herbs in its gut, almost apologetically wrote that his conclusions gave "no particular reasons for distrusting Benkendorf's testimony." The two diets continued side by side almost to the end of the twentieth century creating confusion about the nature of the mammoth's habitat. How is it that the educated guesses in a children's science book gained such credibility? For that, the responsibility lies with two prestigious scientists who reprinted Körber's tale and by the weakness of the efforts to debunk it. On 26 November 1842, twenty-seven year old Alexander von Middendorff left St. Petersburg for Siberia. Middendorff had been hired by the Academy of Sciences to investigate the phenomena of permafrost and conduct a survey of the flora and fauna of the Taymyr Peninsula. His tiny expedition included three other scientists, four Cossacks, and a Nenets interpreter. The expedition was brutal—Middendorff suffered freezing, starving, and severe depression—but ultimately was successful. Before returning to St. Petersburg, Middendorff mounted a second expedition to the Sea of Okhotsk and ascended the Amur River. Leaving one of his companions behind to continue gathering data in Yakutsk, he returned to the capital in 1845 as something of a scientific celebrity. Alexander von Middendorff spent his entire life documenting everything he knew about Siberia. Was he too complete? Middendorff's letters from the field were published in the journal of the Academy and a short report was written based on the letters. The Emperor found the report quite interesting and gave all of the scientists medals and pensions. There is no word whether the Cossacks or the interpreter received any reward for their parts. Middendorff then settled down to write the formal analysis of the data they had gathered. It took him thirty years. I'm sure any graduate student will empathize. Middendorff found the remains of a mammoth while he was on the Taymyr Peninsula and almost died getting back. Immediately upon returning to St. Petersburg, he began to collect information about other discoveries of mammoth carcasses. Lyell included some information from Middendorff in the 1847 edition of his Geology. Middendorff wrote a long article on mammoths in 1860 as a warm up to his official report on his own find. This report appeared in 1867. Along with the details of his own find, Middendorff included an historical survey of previous finds which included the entire Benkendorf letter. This is the ultimate source of the transition of Körber's tale from the realm of educational fiction into the realm of fact. It appears to me that Körber's tale came to Middendoff's attention because of Brandt's debunking of it. Middendorff and Brandt were colleagues and friends. At the same time Middendorff was writing the volume of his researches that included his mammoth, Brandt published, in a popular Russian magazine, an article on mammoths that concluded with his debunking of Körber. Brandt was quite emphatic in his rejection of the Benkendorf story: "[T]he whole story of Benkendorf is pure lie and invention. The expedition to the Indigirka never took place and could not take place because of the impenetrable masses of ice of the Arctic Ocean; Benkendorf is a work of imagination." Since we know the birthday of the enterprising countryman of mine to whom we owe this extraordinary discovery, because we have before us his life's story and the story of his expedition down to the minor details, there would seem to be no doubt about this wonderful discovery. The real and invented are so cheekily woven together here that it is worthy of a place along side la Martiniere's fantasy of Novaya Zemlya [a famous seventeenth century hoax] that persisted for so long. But I do not deprive my readers of the pleasure of reading this. We can only hope that at some time in the future the author will publish this episode himself and describe many other adventures and occurrences experiences seen by him during his travels in Siberia. We are happy that at least a small grain from his rich store of information has come down to us. Middendorff implies that he thought that the Benkendorf letter, as published, was a generously embellished account of a real discovery though he, of all people, was in a position to have known better. Regardless of what he may have thought, such nuance and his various caveats were completely missed by later authors. Although Middendorff started out as an unknown teacher on a small research expedition, the quality of the monographs based on his research made him a well-respected authority within a very short time after his return. Scientists all over Europe and the Americas eagerly awaited new papers and carefully studied each one, though, in this case, not as carefully as they should have. Middendorff's reports were published in German and have never been translated into English except in fragments used by English speaking scientists in their own works. William Boyd Dawkins was one of those scientists and the person most responsible for introducing Benkendorf to the English-speaking world and for lending credibility to the story. Dawkins was an influential British geologist who became involved in debates over the antiquity of man, labor rights, and the channel tunnel. It was the first of those that got him interested in mammoths. This most graphic account affords a key for the solution of several problems hitherto unknown. It is clear that the animal must have been buried where it died, and that it was not transported from any place further up stream, to the south, where the climate is comparatively temperate. The presence of fir in the stomach proves that it fed on the vegetation which is now found at the northern part of the woods as they join the low, desolate, treeless, moss-covered tundra, in which the body lay buried—a fact that would necessarily involve the conclusion that the climate of Siberia, in those ancient days, differed but slightly from that of the present time. Before this discovery the food of the Mammoth had not been known by direct evidence. For the English-speaking world, this was the moment that the genie escaped the bottle. Dawkins either didn't notice Middendorff's qualifications or didn't understand their significance. Because Dawkins was a scientist of some prominence, other scientists and writers felt safe in following his lead. During the last part of the nineteenth century, dozens of writers made reference to the Benkendorf mammoth on Dawkins' authority. After 1868, the story of the Benkendorf mammoth took off with a roar while attempts to debunk it, or even to make qualifications, as Middendorff did, gained no traction whatsoever. Brandt's debunking was published in a Russian language popular magazine and went almost entirely unnoticed. It was mentioned in 1867 in the Bulletin de la Société impériale des naturalistes de Moscou by Alexander Brandt, who wanted to assure his readers that there was no feud between Middendorff and Johann Brandt, and again in 1958 by B. A. Tikhomirov. I know of no other reference to Brandt's debunking during the intervening ninety-one years. Neither Middendorf nor Brandt made any further efforts to correct the misinformation being spread. 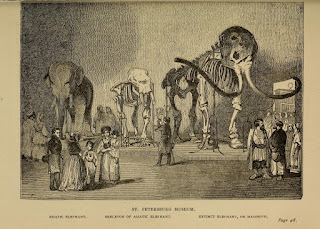 There was nothing extraordinary about the paper on mammoth extinction that Henry H. Howorth read at the 1869 meeting of the British Association for the Advancement of Science. Howarth reviewed the unanswered questions about the mammoth and its environment, and proposed a catastrophic flood to account for both their extinction and the ice age (it was a common belief, at the time, that the mammoths went extinct before the ice age, not after). Howarth's flood theory was well within the mainstream of British geological thought at the time. Over the next decade he established himself as a solid figure in politics and as an historian. 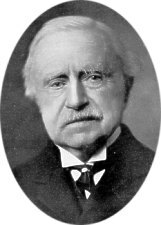 In the early 1880s, however, he began to develop his flood ideas in a series of articles published in Geological Magazine. In these, he took a more strident tone and denounced the uniformist orthodoxy of the geological community and what he called "the extreme Glacial views of [Louis] Agassiz." In 1887, he organized his ideas into a book, The Mammoth and the Flood. Two other books on his catastrophic ideas followed. This notice has always seemed to me to be most suspicious. ... I confess my suspicions were not allayed when I found [Middendorff] had obtained it ... from a boy's book. ... It is very strange that if genuine no accounts of this discovery should have reached the ears of Baer or Brandt, Schmidt or Schrenck, who none of them mention it, and that it should be first heard of in a popular book for boys in . Perhaps the most important, and thus frustrating, semi-debunking of Körber's story came in 1929. I. A. Tolmachoff's "Carcasses of the Mammoth and Rhinoceros in Siberia" is a classic of mammoth paleontology. In it, Tolmachoff described all of the finds of mammoths with flesh still attached up to that date. His count of thirty-nine is still sometimes repeated, as is his map of their locations. My research brings the count up to about seventy-five after deducting the four rhinoceroses in his original count. Tolmachoff tells the story in detail, but is firm in his rejection of it, saying "Howorth quite correctly considers it a fiction. ... Such an expedition never took place to this part of Siberia. The first steamer arrived to the Lena River only... in 1881." As often as Tolmachoff has been read and cited, no one seems to have read beyond his first telling of the story to catch is rejection of it. The Russian scientist B.A. Tikhomirov tried to deal with both the diet of misinformation and the Benkendorf story in an article that was published in Russian in 1958 and in English in 1961. The title "The Expedition That Never Was—Benkendorf's Expedition to the River Indigirka" should be all that most people need to see to get the point. Unfortunately, most people didn't see it. He was partly motivated by guilt. He had cited the Benkendorf letter in an earlier paper and later discovered his error by reading a paper by Brandt on the history of mammoth discoveries to 1866 with an unqualified rejection of the story. Following this revelation, Tikhomirov went to the naval archives to confirm that Benkendorf's expedition never happened. That there is no permission or budget recorded for it should have provided the most definitive debunking possible for anyone familiar with the Russian bureaucracy of the time (or an any bureaucracy of any country, for that matter). Tikhomirov's paper arrived at what should have been a great time to influence catastrophist narratives and their use of the frozen mammoth. The fifties had begun to produce a bumper crop of catastrophists citing frozen mammoths as proof of their theories. The greatest of these was Immanuel Velikovsky, whose pinballing planets theory jammed all post ice age history together into a couple thousand years in order to prove the Old Testament. Charles Hapgood wanted the earth's crust to periodically, abruptly change location with relation to the poles. Otto Muck though he could explain the end of Atlantis by the strike of giant comet. The role of mammoths in these ideas was that they should have lived in temperate forests, as Benkendorf's diet indicated, and then been thrust into the Arctic and frozen according to their preferred catastrophe. I'll leave Benkendorf here. In my next post. I want to say a few words about Sanderson's article and one of his most infamous sources. I thought I had hit a brick wall in my research of the German sculptor Walter Lenck (1873-1952, born Walter Lewy), but I have just read the New York Times review of your book. Two newspaper articles mention a work by Mr. Lenck, renowned for his sculptures of animals. The September 16, 1936 issue of The Zionist Record (Johannesburg, South Africa) says "Another notable monumental work is Herr Lenck's 'Fighting Mastodons', a rugged, powerful group executed in bronze which awes by its strength and virility". The July 1947 issue of Jewish Affairs (also Johannesburg) says "In 1929, the Berlin City Council bought his gigantic figure, 'Battling Mammoth', and erected it in the Zoological Gardens." I have been in touch with the archives at Berlin Zoo, which was destroyed in the last days of WW2, but they have no record of the purchase or photographs of this piece. When I read in the NYTimes review that you had apparently "hunted down every written reference to mammoths... ever made", I wondered if you were aware of these two and if you know anything about this sculpture. Any information would be most welcome - thank you.